When you hear the word Cambodia, you probably think of Angkor Wat. There’s much more to this small Asian country, though, and discovering the capital is the best place to start. 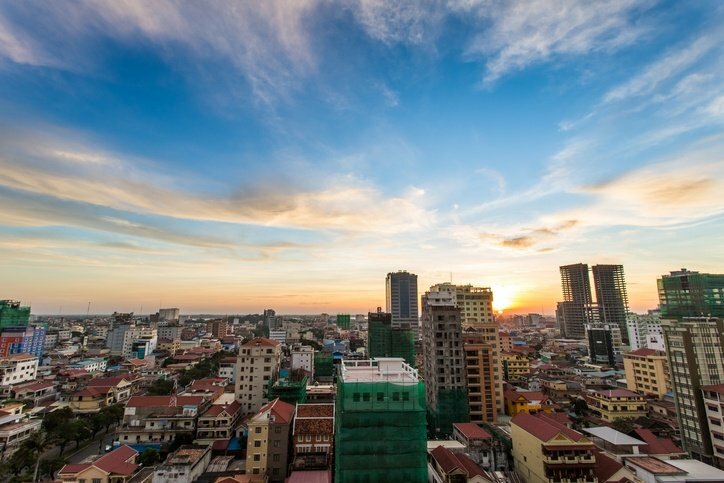 Read on for our recommendations on the top reasons why you should visit Phnom Penh! Our Cambodia tours all visit Phnom Penh. With the perfect mix of history, culture and nightlife, Cambodia's eclectic capital is the perfect place to begin your adventure. Phnom Penh’s Central Market, or Psar Thmei as the locals call it, sits inside an impressive art deco inspired domed building. All sorts fill the market stalls - from gold to fresh food! The market opens from early morning until the early evening. It's the perfect place to pick up some Cambodian souvenirs. 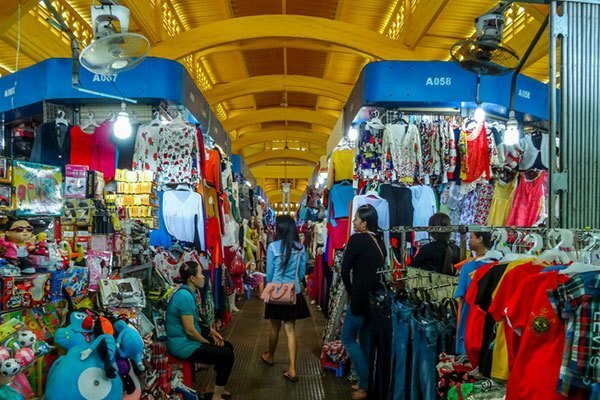 Perfecting your bargaining skills in the city's most famous market is a great reason alone to visit Phnom Penh. 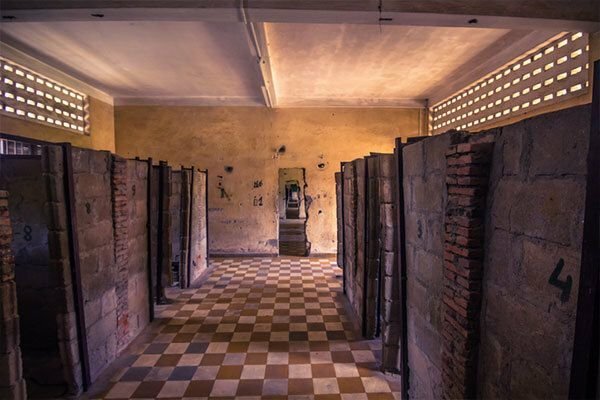 A genocide museum might not be the first thing on your list when planning to visit Phnom Penh. Even so, it's extremely enlightening and a great way to be a responsible tourist. From 1975 to 1979, the Khmer Rouge committed one of the worst mass genocides in history. Within 4 years, they killed between 1.4 and 2.2 million Cambodians. What is now known as S-21 used to be Phnom Penh’s main high school. In 1975, Khmer Rouge leader Pol Pot transformed the school into a maximum-security prison. As you walk through it’s four walls, your audio guide brings the museum’s displays of torture techniques to life. When my friend and I visited the museum, we were both shocked to the core and deeply moved. A visit to S-21 may not be what immediately springs to mind when you think of Cambodia, but it’s still a must-see on any Phnom Penh itinerary. Our tuk-tuk driver suggested we visit Phnom Penh’s Killing Fields after S-21. So, we made our way there via a 30-minute drive out of the city. Prisoners from S-21 were driven to the Killing Fields when they stepped out of line. 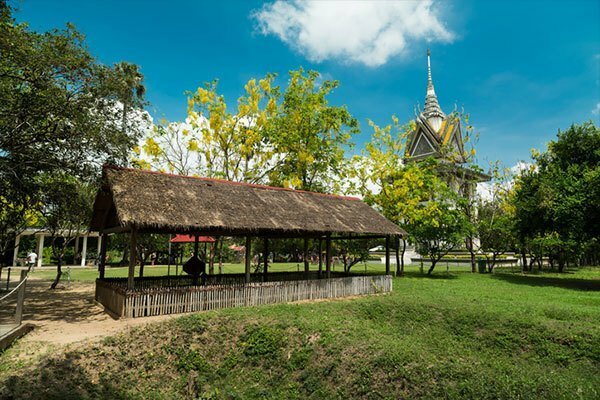 Once you're at the Killing Fields, you listen to another equally as harrowing audio guide, which details how civilians were brutally killed and then dumped into mass graves. Although learning about the genocide isn’t what most backpackers visit Cambodia for, it’s sure to enhance any trip to Phnom Penh. It’s also a great lesson in responsible tourism, as the Killing Fields allow those who suffered under the Khmer Rouge to heal by telling their stories to the world. If you want to escape the hustle and bustle of the city streets for some quiet contemplation, the Royal Palace is the place to do it. The ornate palace sits on the riverfront and is the official residence of King Sihamoni. 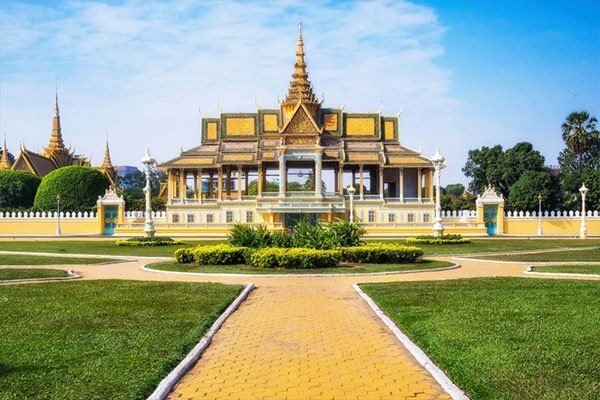 Cambodia’s answer to Buckingham Palace, a visit to the Royal Palace is not complete without venturing into the Silver Pagoda. Also known as the Temple of the Emerald Buddha, the floor of the Silver Pagoda is covered with 5000 glistening silver tiles. The decadent Silver Pagoda is completed with a 90kg gold Buddha, adorned with 2086 diamonds. Visiting the Royal Palace & Silver Pagoda is a great way to regain some piece after spending some time learning about Khmer Rouge atrocities. If you love the sound of discovering Phnom Penh, why not join us on one of our recently launched Cambodia tours!